The 14-in. 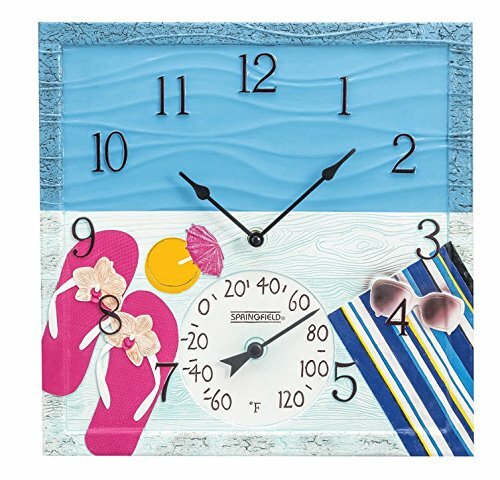 At the Pool Poly Resin Clock with Thermometer from Springfield Precision is a vibrant, fade-resistant clock thermometer. The UV- and weather-resistant design makes it a viable indoor and outdoor thermometer. This hand-painted thermometer only shows the deg F scale. If you have any questions about this product by Springfield(r) Precision, contact us by completing and submitting the form below. If you are looking for a specif part number, please include it with your message.